This is how the Multimatic Motorsports Team Panoz Panoz Esperantes will look this season, as they embark on a high profile assault on the GT2 Class of the ALMS. 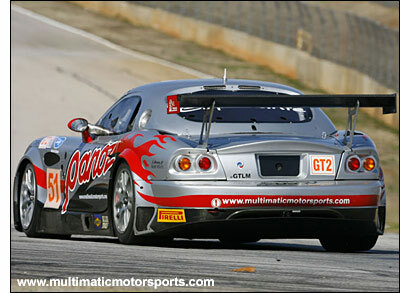 The new scheme was designed in-house and was seen on track for the first time last week at Road Atlanta, as team regulars Scott Maxwell, David Brabham, Gunnar Jeannette and Tom Milner put the two Esperante GT2 entries through their paces in preparation for the upcoming Mobil 1 Twelve Hours of Sebring. The four Multimatic regulars will be joined by Newman-Haas Racing’s Sebastien Bourdais and Bruno Junqueira next week. "Testing has gone extremely well and I am very pleased with the progress that the team has made," said Multimatic Vice President and Motorsports Technical Director, Larry Holt. "Taking over the Panoz factory program and incorporating it into our Toronto-based team has been a significant undertaking, but everything has run extremely smoothly so far. 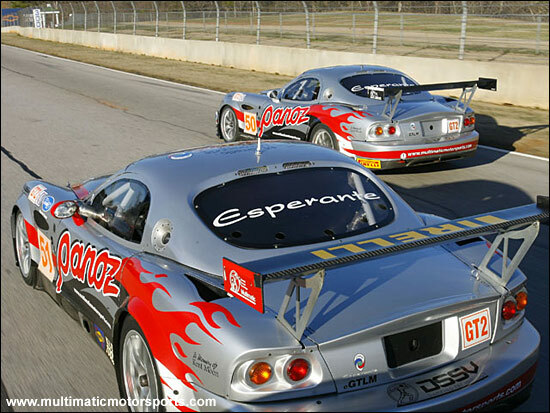 In testing at Sebring, the Esperantes have been right on the pace of those rivals which have been on track at the same time. 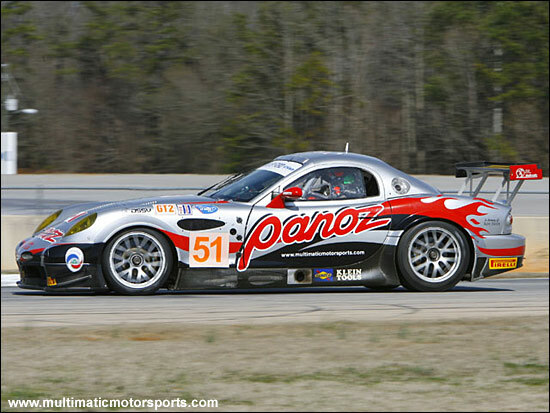 To coincide with the unveiling of the new livery, Multimatic Motorsports Team Panoz has launched a new dedicated section on the www.multimaticmotorsports.com website, to focus on its 2006 American Le Mans Series efforts. The team has included its own podcast radio show – downloadable from the team website or the Apple ITunes Music Store. "The podcast is great for race fans to be able to catch up with all the behind the scenes news each month," said Gunnar Jeannette.